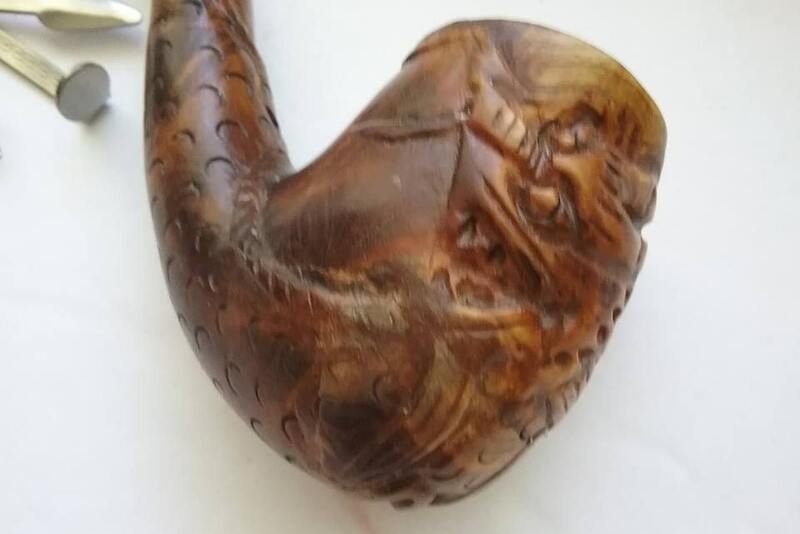 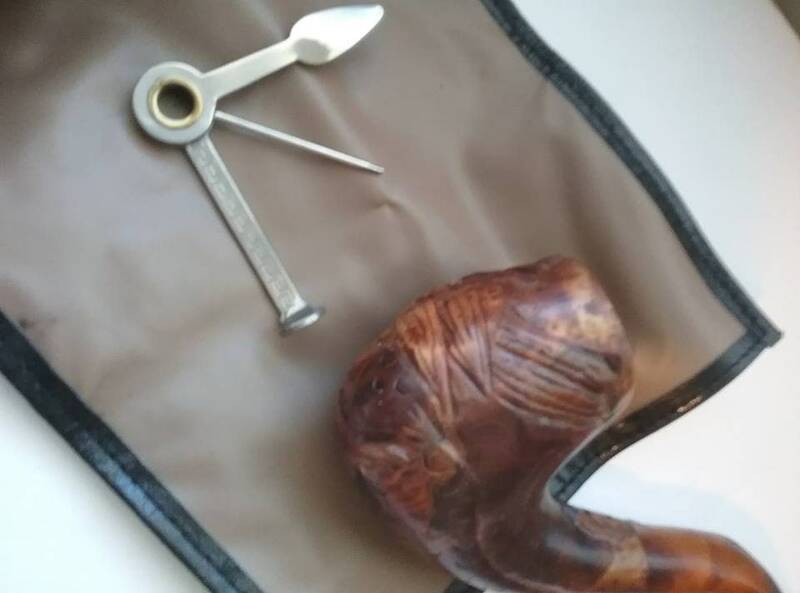 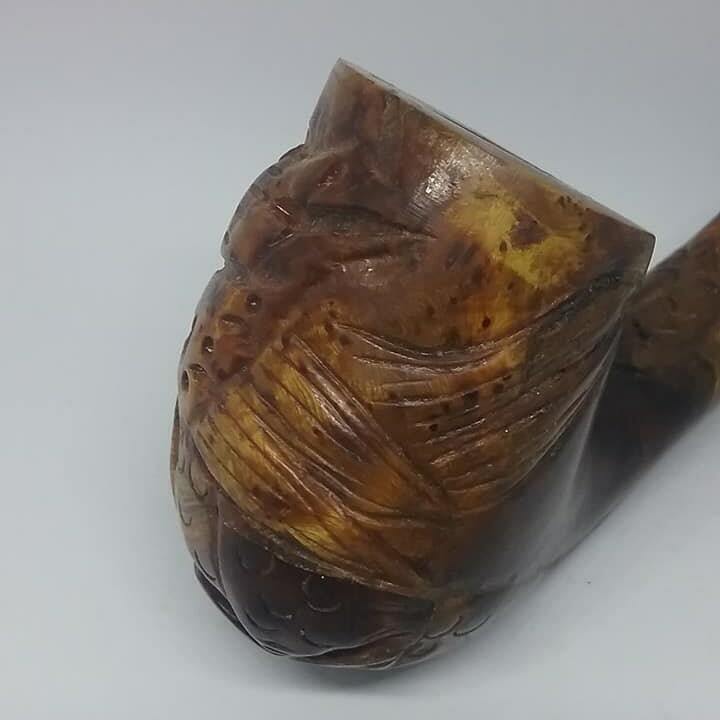 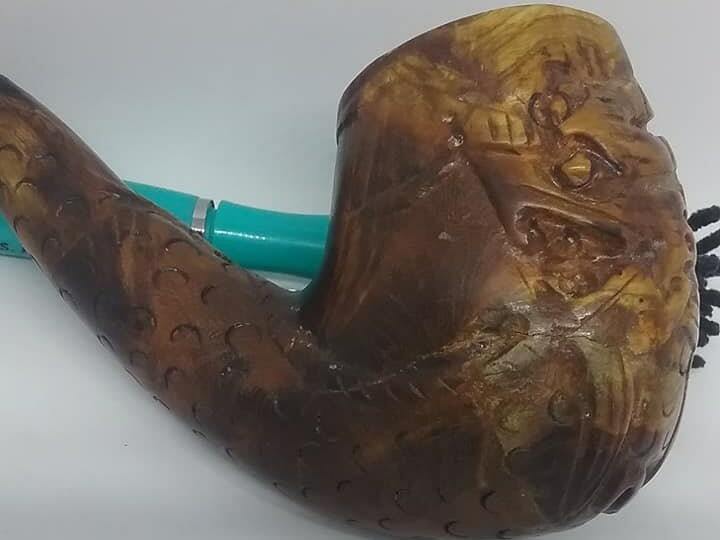 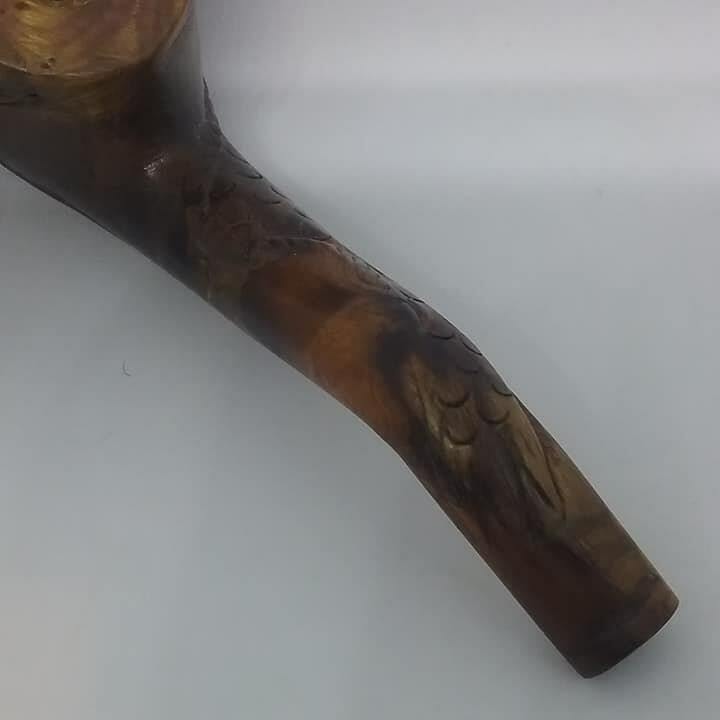 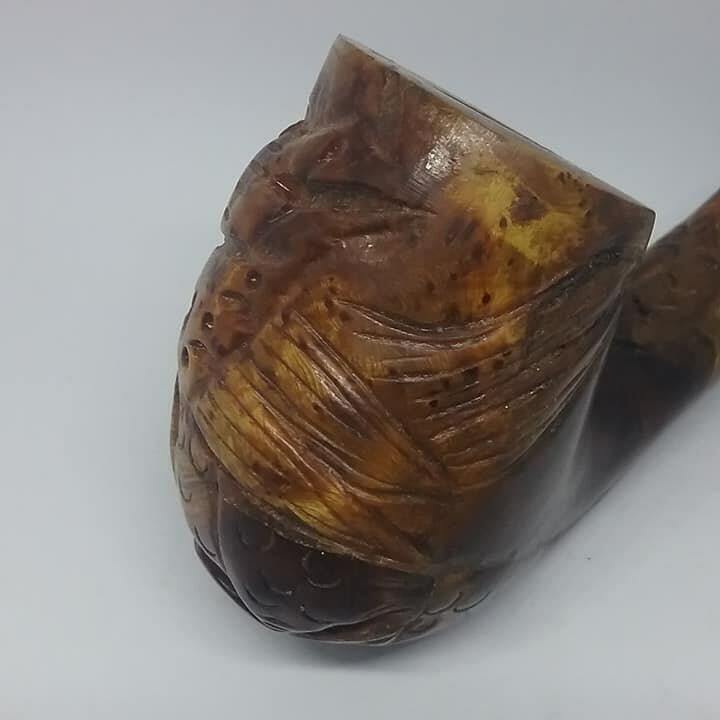 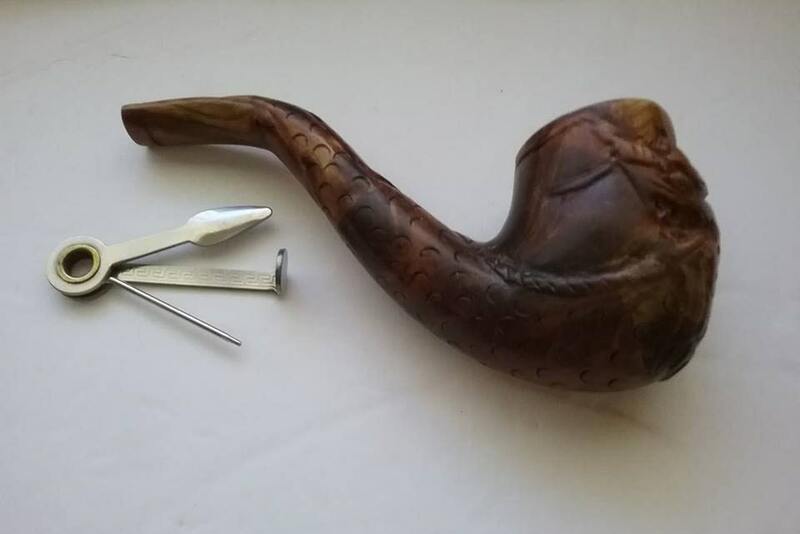 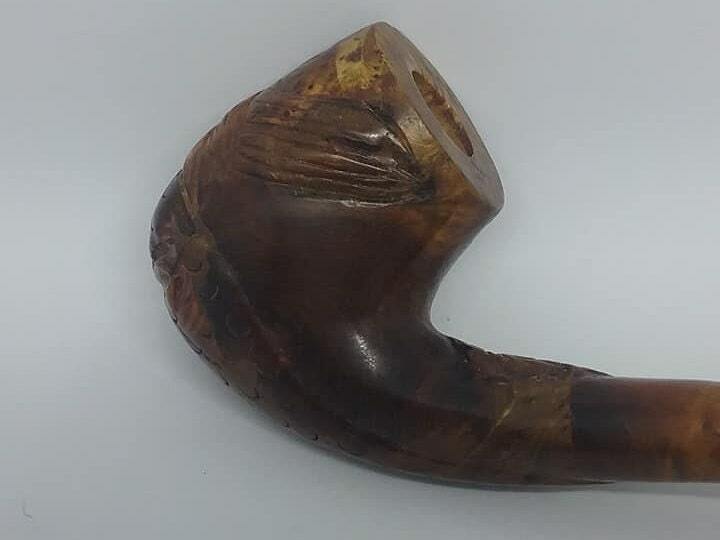 Vintage wood carved tobacco pipe with vinyl case and accessory. 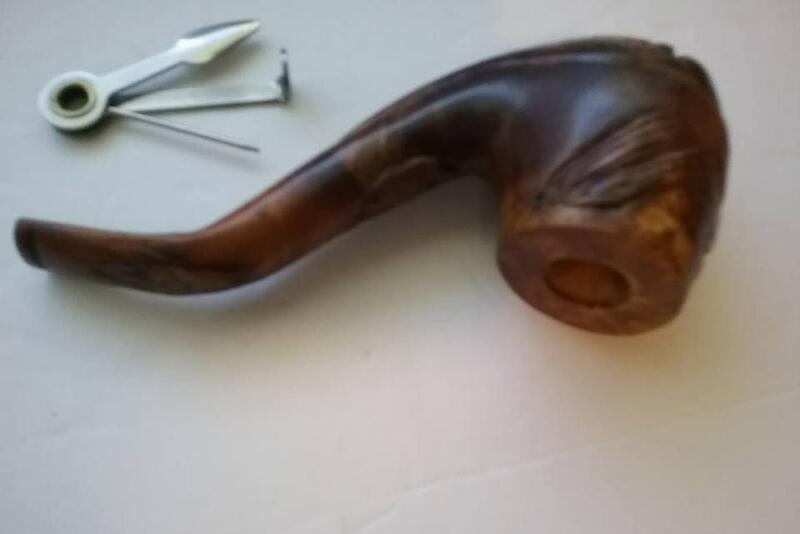 6" pipe is in very good vintage condition...does not appear to be used. 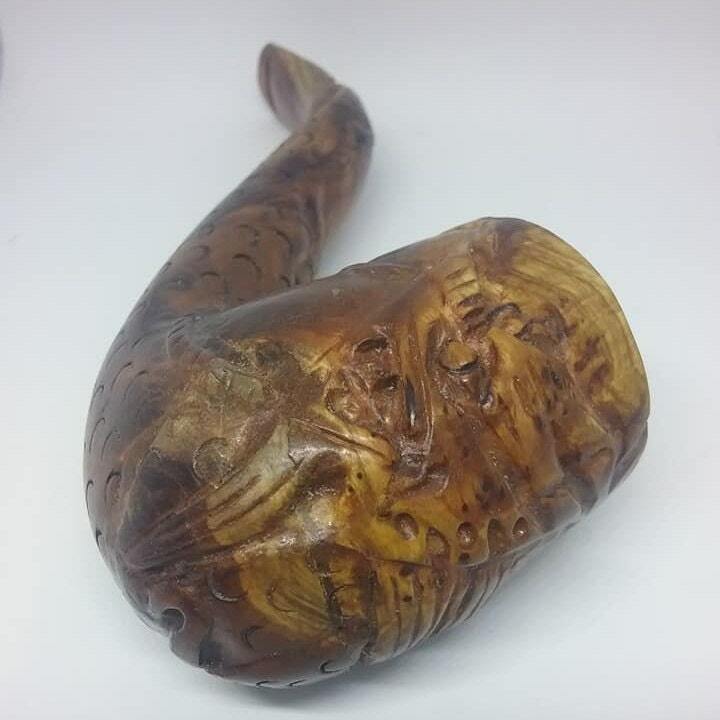 Lovely hand carving will make it a show piece on your coffee table.